I am the first Ukrainian to graduate with a Master of Public Policy Degree from the University of Oxford’s Blavatnik School of Government. Since returning to Ukraine last year, people often ask me why I came back and did not choose to stay in the UK. This line of questioning provokes many reflections about my mission in life. I came back to Ukraine because I feel a deep calling to be part of Ukrainian history. During my time in the UK, in addition to my studies I also served as president of the Oxford University Ukrainian Society. I then spent the summer of 2017 working for the British government at the Department of Digital, Culture, Media and Sport. This provided me with a new understanding of public policy, international relations, good governance, and communications. I now aim to apply these skills and knowledge in Ukraine. Since coming home to Ukraine, I have founded my own initiative called “Yellow Blue Strategy”. In May 2018, I came together with friends and colleagues with similar international university backgrounds to launch this initiative with the first in a series of planned coffee mornings and poetry evenings. These events are bilingual, taking place in Ukrainian and English. The aim to encourage cross-cultural dialogue by sharing knowledge and ideas about Ukraine among representatives of business, civil society, the Ukrainian civil service, expats living in Ukraine, and graduates from the world’s leading universities. To encourage more people to join in, we decided to organize events with a highly sociable format that mixes entertainment with intellectual discussions. You come for a coffee in the morning and enjoy live music while participating in thoughtful conversations about many of the most important issues facing Ukraine. We also plan evening events where participants can network with a real cross-section of Ukrainian society and get a feel for the mood of the country in an informal environment. We hope our format of events will prove an enticingly refreshing way to start or end your day. Our goals for the coming months include organizing a Ukrainian Winter Ball and a Ukrainian Studies Week. Moreover, we have ambitious plans to start public policy advisory consultancy projects that will allow us to apply our understanding of Ukraine alongside our international experience. Some of us who are involved in Yellow Blue Strategy have managed to acquire a degree of international expertise in public policy work. We believe that it is crucial for the new Ukraine to recognize the importance of a good evidence-based public policy and communications strategy at every level of the state apparatus. You may ask what drives me. Why am I such an optimist when it comes to Ukraine? I prefer to see myself as a realist who recognizes the challenges and sees the unique opportunities in today’s Ukraine. Spending a year reflecting on Ukraine from far away while studying in Oxford allowed me to identity advantages and opportunities that I had never previously considered. If you know what you are looking for, you can see evidence of these advantages every day as you walk along the streets of Kyiv or talk to ordinary Ukrainians. The thing that strikes me most of all is the spirit of freedom that shapes Ukrainian society. This struggle for freedom defines Ukrainian history and has found its expression in the way people feel free to say whatever they want. If something undermines our sense of freedom, our spirit of rebellion awakens immediately as if something has stirred deep in our DNA. Alongside this love of freedom, Ukrainian society also boasts a disarming sense of authenticity and honesty. Ukrainians are very straightforward when it comes to expressing ourselves. Today’s Ukraine is a remarkably dynamic society where change is the norm, providing the promise of social mobility and fresh opportunities as the country embraces a new direction. Yes, there are many challenges that Ukraine still needs to resolve. It is not necessarily easy to see the bigger picture when you are focusing on these day-to-day problems, but I believe the developments taking place in the country become more evident once you adopt a broader perspective. 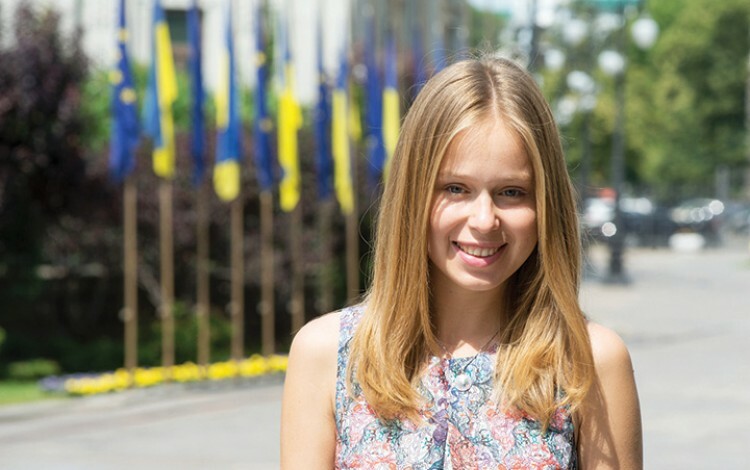 In Kyiv, we see more young people than ever entering the senior ranks of government, business, and the cultural world. Meanwhile, the fashion, creativity and clubbing scenes in the Ukrainian capital are so vibrant that the city is gaining a reputation as “The New Berlin”. Young Ukrainians who are part of the first fully post-independence generation appreciate that it is up to them to build a better country. More and more young people are taking this responsibility upon themselves. I am thrilled to see growing numbers of foreign friends visiting Ukraine. Some even decide to live and work here, including my closest friend from Oxford University, who is now working for an international organization in Ukraine. I personally know of numerous Oxbridge graduates who have recently moved to Ukraine because they see the country as a place imbued with freedom and opportunities. I have been lucky to travel throughout the Western world and interact with many brilliant minds, and I can honestly say that Ukraine offers a vibrancy and dynamism that is unique in today’s world. The ability to create history is in our hands. For me, Ukraine is a land of freedom and opportunities. Building a better Ukraine is my drive, my mission and my dream.